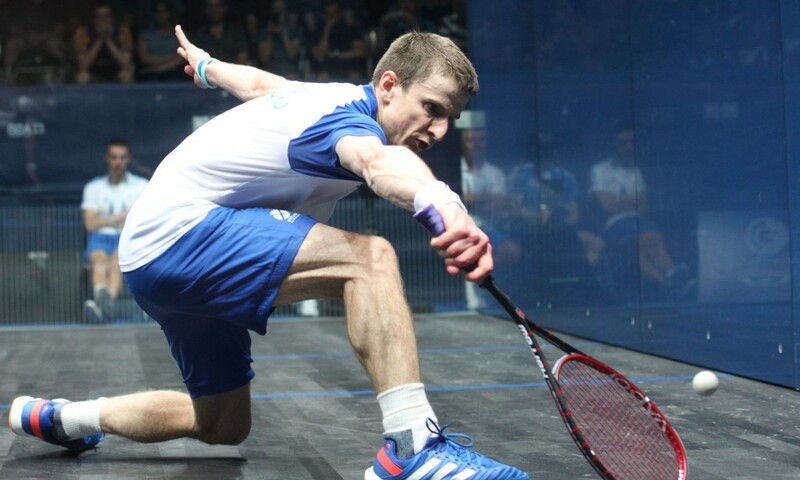 After his excellent display in the recent US Open where he defeated ex-World No.9, Adrian Grant, in the first round and then went down fighting against World No.1 (at the time), Greg Gaultier, Scotland’s No.1, Alan Clyne, has continued his fine form into the Open de Squash Financière Banque Nationale in Montreal, Canada. His defeat of World No.24 and No.6 seed, Steve Coppinger, in 5 games in the first round was his first win over the tall South African but gave Clyne a good 70 minutes of court time. This was completely overshadowed, however, by his 129 minute, marathon, 5-game loss in the quarter-finals to France’s World No.19 and No.4 seed, Mathieu Castagnet. The score line of 9/11, 12/10, 17/15, 14/16, 11/1 (126 rallies not including lets) suggests average rally lengths of around 60 seconds – against the average at this level of around 20 seconds. “… I was in front for most of the first game… he picks up a lot of balls so I was having to play 2 or 3 more shots than normal but I was keeping consistent. 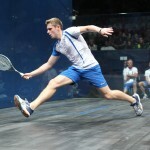 I was punishing him in the second and third and it was hard, grinding squash. I ended up losing them both on tie breaks… I felt like I was playing quite well and could easily have closed both of them out…. we had already been playing for around 90 mins… I still felt ok though. The 4th became another battle and I knew he was tired but he is hard to completely break… although the rallies were long I still felt like I was looking to work him and keeping my length. I saved 3 match balls and managed to win that game. A disappointing end to a gut-busting effort but… at least he got good value for money! 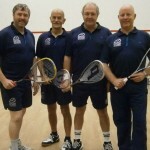 Alan now moves on to the Fiera Properties Bluenose Squash Classic in Halifax, Canada, starting on Monday, 27 October – where he is the top seeded qualifier.